Al Qaeda and ISIS are violent extremist groups who share a hardline Islamist ideology, but differ in their approach to achieve similar goals. The following is a 3-part series comparing the origins, structure, and strategy of the two groups. Al Qaeda and ISIS – also known as ISIL, the Islamic State, or Daesh (in Arabic) – are both violent extremist groups propagating a hardline Islamist ideology. But they are rivals who differ in their strategy to achieve the same objectives. For more than two decades, al Qaeda was the dominant worldwide jihadist organization. In 2014, it began to face a challenge from ISIS, which declared the creation of an Islamic State after seizing large swaths of Iraq and Syria. ISIS quickly achieved what had been al Qaeda’s longtime goal – establishing a global caliphate. Al Qaeda emerged from networks of jihadist fighters who flocked to Afghanistan to fight the Soviet invasion in the 1980s. Al Qaeda seeks to establish a caliphate, but only as a long-term goal. Its strategy has focused on high-profile attacks against Western targets rather than conquering territory. “If our state is not supported by the proper foundations…the enemy will easily destroy it,” former al Qaeda leader Osama bin Laden wrote in 2010. Both al Qaeda and ISIS have global franchises that extend across Asia and Africa. Several jihadist groups began declaring allegiance to ISIS in 2014, while others reaffirmed their support for al Qaeda. With the rise of ISIS, the affiliations are not always straightforward. Some members of al Qaeda in the Arabian Peninsula (AQAP) – one of al Qaeda’s strongest branches – have expressed support for ISIS. The two are battling for dominance of the global jihadist movement. Osama bin Laden formed al Qaeda in the late 1980s from jihadist groups based in Central Asia. It was held responsible for the 1998 bombings of the U.S. embassies in Kenya and Tanzania, the 2000 bombing of the USS Cole and the September 11 bombings of the World Trade Center and the Pentagon in 2001. After the 9/11 attacks, U.S. forces invaded Afghanistan, weakening al Qaeda by capturing and killing many of its core members. By 2013, U.S. officials estimated that only 50-100 al Qaeda members remained in Afghanistan. During the 2000s, al Qaeda evolved into a vast network of formal affiliates and informal allies. One of the affiliates was al Qaeda in Iraq, the predecessor of ISIS. It was founded in 2004 under Abu Musab al Zarqawi. It was rebranded as the Islamic State in Iraq in 2006. The surge of U.S. troops in Iraq in 2007 drove the group from its strongholds; many of its core members were killed or imprisoned. In 2011, al Qaeda faced a major setback with the death of Osama bin Laden. Ayman al Zawahiri took over the group’s leadership. At the same time, the Islamic State of Iraq took advantage of the growing unrest in Syria by dispatching fighters to Idlib, Aleppo, and Deir Ezzor. The Islamic State of Iraq changed its name to the Islamic State of Iraq and Syria (ISIS) in 2013 and began capturing Iraqi territory. By January 2014, the group had established a de facto capital in Raqqa, Syria. Tensions were steadily mounting between ISIS and al Qaeda. ISIS leaders repeatedly ignored commands and authority from al Qaeda’s core leadership. In February 2014, al Qaeda leader Zawahiri officially severed ties with ISIS. “ISIS isn’t a branch of al Qaeda and we have no organizational relationship with it,” Zawahiri said. “Nor is al Qaeda responsible for its actions and behavior.” In Syria, the tensions played out on the battlefield. In 2013, ISIS had begun began battling the Nusra Front – al Qaeda’s affiliate in Syria – for dominance. By March 2014, over 3,000 fighters had been killed in battles between ISIS and the Nusra Front. In June 2014, ISIS leader Abu Bakr al Baghdadi formally proclaimed the Islamic State carved out of northern Syria and Iraq. It stretched from Aleppo in Syria to Diyala in Iraq. ISIS established a basic bureaucracy in its territories, with institutions based on its hardline interpretation of Islam. Although the two groups reportedly considered joining forces in late 2014, Nusra leader Abu Mohammed al Julani emphasized in 2015 that the groups remained at odds with no immediate plans to reconcile. In a recording released in September 2015, Zawahiri reiterated that he considered the ISIS caliphate illegitimate. But he also called for cooperation between al Qaeda and ISIS "to push back the attack of the enemies of Islam." Al Qaeda: Between 10,000 and 20,000 jihadists have been trained in al Qaeda camps in Afghanistan since the 1980s, but thousands of fighters have been killed or captured since the United States ramped up counterterrorism operations against the group in the 2000s. But the number of active al Qaeda followers today is difficult to quantify. Other small jihadist groups have been inspired by al Qaeda’s ideology since 2001, but not all are formally affiliated. At least 45 jihadist groups worldwide – 32 of which have only been active since 2001 – have some degree of coordination with al Qaeda, according to IntelCenter. ISIS: ISIS membership has grown rapidly since 2011, and in late 2014 the Central Intelligence Agency estimated that ISIS had up to 31,500 fighters. By January 2015, roughly 20,000 of these fighters were thought to have originated from outside Iraq and Syria. Smaller groups in Jordan, the Caucuses, Indonesia, the Philippines, and Nigeria have also expressed support for ISIS, but Baghdadi has not declared all of them formal ISIS provinces. Some groups, like Boko Haram and Ansar Beit al Maqdis, are known to have collaborated with al Qaeda in the past, before aligning with ISIS. Al Qaeda founder Osama bin Laden used charisma, fatwas and rhetoric to rally jihadists around the world. ISIS leader Abu Bakr al Baghdadi has been a mysterious figure who rarely appeared in public after ISIS announced its caliphate in 2014. ISIS has used ruthless violence to exert power. Zawahiri was born in Cairo in 1951 to a middle class Egyptian family. He was trained as a doctor, but became active in Islamist groups during his teenage years. In 1973, he joined Islamic Jihad, an armed jihadist group calling for the overthrow of the Egyptian government. In 1981, he was imprisoned in connection with the assassination of Egyptian president Anwar al Sadat. He left Egypt for Pakistan in 1985 to help jihadists fighting Soviet forces in Afghanistan. In 1998, he joined forces with Osama bin Laden. Zawahiri became al Qaeda’s main ideologue and most prominent spokesperson throughout the 2000s. He took over the leadership of al Qaeda in 2011, after bin Laden was killed. Baghdadi was born in Samarra in 1971. He reportedly received jihadist training in Afghanistan in the late 1990s, when he lived with Abu Musab al Zarqawi in Kabul. He fought with jihadists in Fallujah in the early 2000s after returning to Iraq, and was reportedly held at the U.S. detention facility Camp Bucca from February to December 2004. In 2010 he assumed leadership of ISIS, then called the Islamic State of Iraq. Little else is known of his background, but jihadist publications claim that he is from a religious family descended from noble tribes, and that he holds a PhD from Baghdad’s Islamic University. Baghdadi is known for avoiding the spotlight. There are only two known photos of him, and he reportedly conceals his identity with a bandanna from everyone outside his small inner circle. Al Qaeda does not directly manage the daily operations of its franchies. ISIS, however, claims to have direct control over the fighters and residents in its territory. Unlike ISIS leader Abu Bakr al Baghdadi, Zawahiri does not claim to have direct hierarchical control over al Qaeda’s vast, networked structure. Al Qaeda’s core leadership seeks to centralize the organization’s messaging and strategy rather than to manage the daily operations of its franchises. But formal affiliates are required to consult with al Qaeda’s core leadership before carrying out large-scale attacks. Al Qaeda’s core leadership includes a shura council, as well as committees for military operations, finance, and information sharing. Al Qaeda leaders communicate with affiliated groups through their respective information committees. 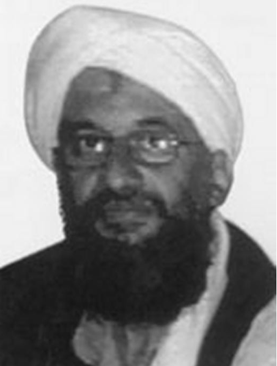 Nasser al Wuhayshi, leader of al Qaeda in the Arabian Peninsula and second-in-command in al Qaeda’s core leadership. Wuhayshi was reportedly killed in a U.S. drone strike in June 2015, and replaced by Qasim al Raymi. Abu Mohammed al-Joulani, head of the Nusra Front in Syria and former member of al Qaeda in Iraq. Mansoor al Harbi, a key trainer and logistician based in Afghanistan. The Saudi press reported in 2015 that he had been killed by a U.S. airstrike. Farouq al Qahtani al Qatari, a commander based in the Kunar province of Afghanistan. Khalid al Habib, a field commander in southeast Afghanistan. Baghdadi is the supreme political and religious leader in ISIS territory. The caliph has virtually unchecked authority, but in practice he relies on deputies like Abu Muslim al Turkemani, who oversees ISIS areas in Iraq, to manage administration of its territory. The Islamic State has a Shura Council that can theoretically depose the caliph, but all members are appointed by Baghdadi. ISIS leadership has direct command and control over its fighters in Iraq and Syria, though its ability to direct its affiliates abroad is unclear. In March 2015, ISIS affiliates claimed responsibility for the Bardo Museum attacks in Tunis and the mosque attacks in Yemen, but U.S. officials were skeptical of the extent to which the attacks were coordinated by ISIS leadership in Iraq and Syria. The upper echelon of ISIS leadership includes Baghdadi’s advisers, his deputies for overseeing operations in Iraq and Syria, and the shura council – which technically has the authority to depose Baghdadi. ISIS also has a sharia council, as well as councils responsible for security, military affairs, media, and finance. Abu Muslim al Turkemani, also known as Fadhil Ahmad al-Hayali Baghdadi’s deputy who oversaw operations in Iraq. He was reportedly killed by a U.S. strike in 2014. Abu Ali al Anbari, Baghdadi’s deputy who oversees operations in Syria. Abu Mohammed al-Adnani, official spokesman for ISIS. Abu Arkan al Ameri, head of ISIS’s 10-member shura council. Abd al-Rahman Mustafa al Qaduli, a senior leader and former deputy of Zarqawi in al Qaeda in Iraq. Tarkhan Tayumurazovich Batirashvili, a senior commander based in Syria and member of the shura council. Al Qaeda views the formation of a global caliphate as a long-term goal, while ISIS announced it had reached that goal in June 2014. Both bin Laden and Zawahiri advocated a caliphate in principle. But experts believe that al Qaeda has used the idea as a motivational tool rather than as an immediate objective. In the early 2000s, al Qaeda affiliates proposed establishing caliphates in Yemen and Iraq, but bin Laden cautioned that it was not the right time and that such attempts would likely fail. As of mid-2015, al Qaeda had not attempted to capture land to form a state. Its operatives established bases in Afghanistan, Yemen, and other countries, but have generally not attempted to govern. In June 2014, a few months after severing ties with al Qaeda, ISIS declared a caliphate in areas seized from Iraq and Syria. In the first issue of ISIS’s “Dabiq” magazine, the group attempted to justify the declaration. The magazine lists a five-step process that, unlike the steps outlined by Zawahiri, focuses on fomenting local chaos rather than expelling foreign troops. The magazine claims that “this has always been the roadmap towards Khilafah (caliphate)” and criticizes “other famous jihad groups” who do not attempt to capture and rule territory. ISIS has attempted to govern its territories, establishing court systems, schools, social services, and local governments. Foreign fighters occupy many of the top administrative posts in the bureaucracy. ISIS also doles out harsh punishments, including executions, lashings, and stonings. Al Qaeda and ISIS draw on similar schools of thought. Both are inspired by the works of medieval scholar Ibn Taymiyya, 20th century Egyptian ideologue Sayyid Qutb, and later scholars, such as Abu Muhammad al Maqdisi, a Palestinian-Jordanian who taught former al Qaeda in Iraq leader Abu Musab al Zarqawi. Both groups claim their hardline interpretations are reviving the purity of the faith when it was founded in the seventh century. But most influential jihadist ideologues, including Maqdisi, have remained loyal to al Qaeda. ISIS has tried to cultivate its own scholarly resources to boost its profile. ISIS scholars tend to be younger than those loyal to al Qaeda. The 30-year-old Bahraini Turki al Bin’ali is among ISIS’s most prominent scholars. In 2013, he wrote a biography of Baghdadi that claimed Baghdadi was a descendent of the Prophet Mohammed. Despite ideological similarities, the two groups differ in strategy on a few key points—on enemies, the use of violence, minorities, and use of the media. In their pronouncements, both al Qaeda and ISIS have targeted the West. But al Qaeda places a stronger emphasis on ridding any trace of Western influence from Muslim lands. Since the 1990s, Al Qaeda has mainly targeted the West, which it accuses of propping up corrupt Arab regimes. According to al Qaeda, a caliphate cannot be established until Western forces are defeated and expelled from Muslim countries. Like al Qaeda, ISIS has a strongly anti-Western worldview. Baghdadi has urged Muslims around the world to rise up and avenge injustices inflicted by the West. ISIS has publicly beheaded Western hostages. But most of its victims have been local. Both al Qaeda and ISIS denounce Shiites, Christians, and virtually any group that doesn’t share their worldview. But al Qaeda leaders have emphasized that attacking these groups is not the highest priority, while ISIS has carried out mass killings of minorities in its territories. Al Qaeda, which is dominated by Sunni Muslims, is vehemently anti-Shiite. But its leaders have emphasized that sectarian warfare is less of a priority than fighting the West. "Terrorism is to worship Allah as He ordered you…Terrorism is to insist upon your rights and not give them up...Terrorism does not include the extreme torture and degradation of Muslims in East Turkistan and Iran (by the rafidah)*, as well as preventing them from receiving their most basic rights." ISIS has primarily focused on local targets, attacking anyone in Iraq and Syria that does not agree with its worldview – regime forces, Shiites, Yazidis, Christians, and even other jihadists. Its sectarian focus dates back to the early 2000s. Under the leadership of Abu Musab al Zarqawi, ISIS – then known as Al Qaeda in Iraq – attacked Shiites and fellow Sunnis. Both al Qaeda and ISIS have carried out attacks against Muslim and non-Muslim civilians. But al Qaeda focuses on high-profile attacks against Western targets, fearing that sectarian attacks could alienate potential Muslim allies. ISIS, however, has carried out mass killings of Shiites, Yazidis, and other minorities. Al Qaeda has focused on spectacular attacks to provoke world attention. It has justified killing civilians as retribution for attacks by Western forces. Like ISIS, al Qaeda has had little tolerance for Shiites and other minorities outside its narrow worldview. But the group has acknowledged that mass sectarian killings and excessive brutality detract from its goal of attacking the West and alienate potential followers. In 2005, al Qaeda leaders warned Zarqawi against carrying out sectarian attacks that could provoke a backlash among fellow Sunnis. The March 2015 attacks on two Shiite mosques in Yemen reflected the contrast between al Qaeda and ISIS. Sanaa Province, an ISIS affiliate, claimed responsibility for the attacks. AQAP, al Qaeda’s Yemeni affiliate, denied involvement, reaffirming commitment to Zawahiri’s guidelines to avoid attacks on mosques and other areas that target Muslims. ISIS has focused on its battlefield gains and other attacks against a wide range of targets in Iraq and Syria. ISIS has engaged in brutal mass killings of Yazidis, Shiites, and other groups in its territory. Militants invaded Yazidi communities in Sinjar in August 2014, killing those who refused to convert and driving tens of thousands from their homes. ISIS has also killed Shiites in newly captured territories. ISIS has reportedly kidnapped, raped, and sold women and children who are deemed unbelievers, most notably Yazidis. In late 2014, ISIS released a pamphlet justifying enslavement of non-Muslim women and children. ISIS has beheaded prisoners and posted images of their bodies on social media to raise its profile and gain international attention. Unlike al Qaeda, ISIS has also engaged in more conventional warfare in clashes with other armed groups over control of territory. The generation gap between al Qaeda and ISIS is reflected in disparate communications tactics and outreach. Both have launched English-language magazines to attract Western recruits, but each has focused on different content. Al Qaeda’s English language magazine, known as “Inspire”, was started in 2010 by Anwar al Awlaki, an American jihadist killed in a U.S. drone strike in 2011. New issues of the magazine continued to be published after his death. The magazine has focused primarily on providing instructions on carrying out attacks against Western targets. But it has not articulated a broader political or military strategy. On the internet, al Qaeda has primarily relied on conventional media — including older mechanisms, such as jihadist forums and websites — to propagate its message. ISIS’s English language magazine, known as “Dabiq,” was first released in July 2014 after ISIS seized Mosul, Iraq. It has served as a platform for ISIS to promote its ideology and laud its own battlefield successes. It has focused more on religious justification for its actions than "Inspire." ISIS members have tended to be younger than those in al Qaeda. Recruitment efforts have targeted young Muslims between the ages of 18 and 35. ISIS has used social media platforms, including Twitter, Facebook, Instagram, and other programs that typically reach a younger audience. By March 2015, there were at least 46,000 pro-ISIS Twitter accounts, according to the Brookings Institution.